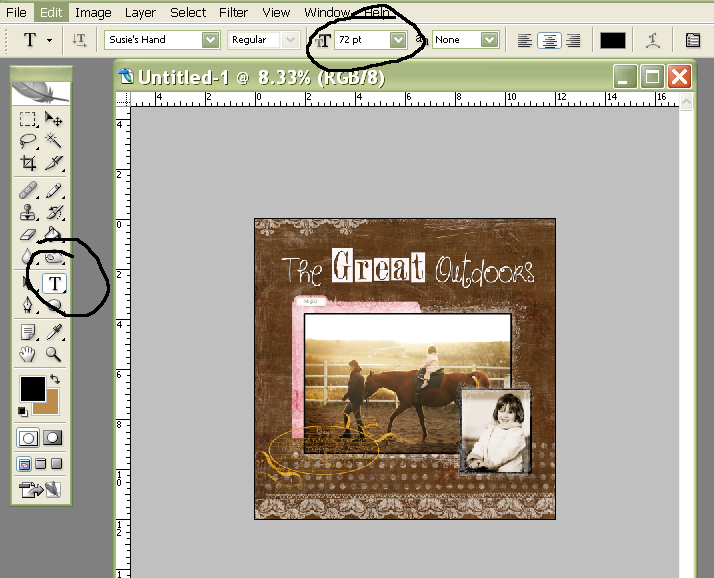 Digital Scrapbooking Tutorial – It’s a Looooong one! – It Works For Bobbi! 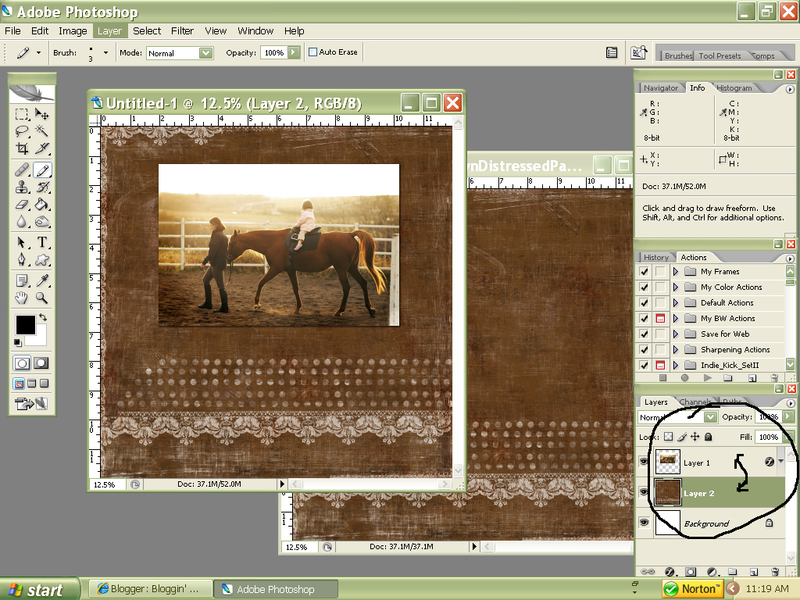 Digital Scrapbooking Tutorial – It’s a Looooong one! 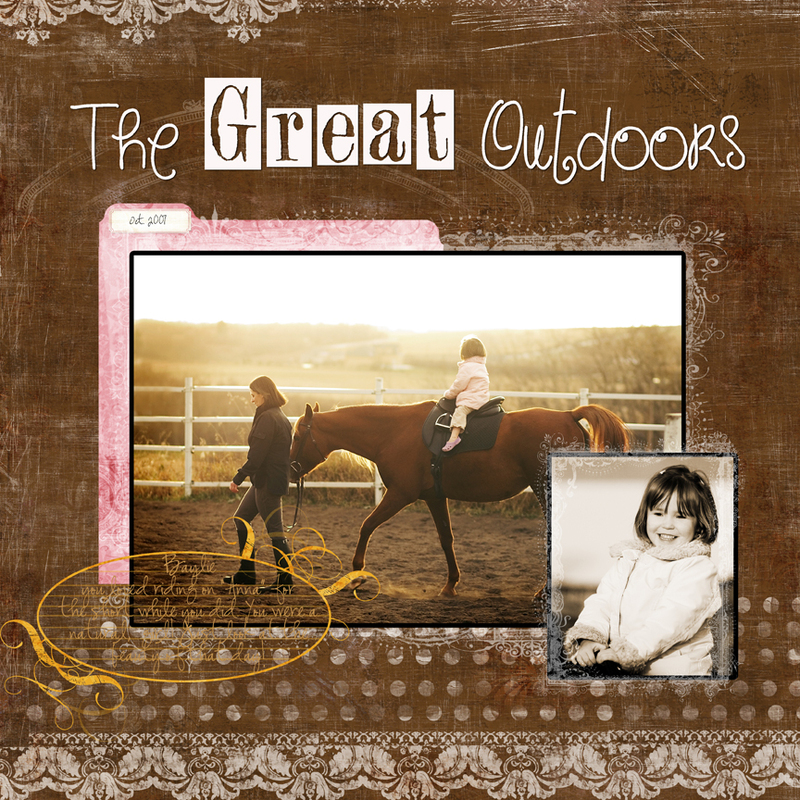 Published on November 7, 2007 August 9, 2016 by Bobbi-Jo G.
I’ve had a few questions on how to get started with digital scrapbooking. I believe that EVERYONE can do this and EVERYONE can find a fun use for it. 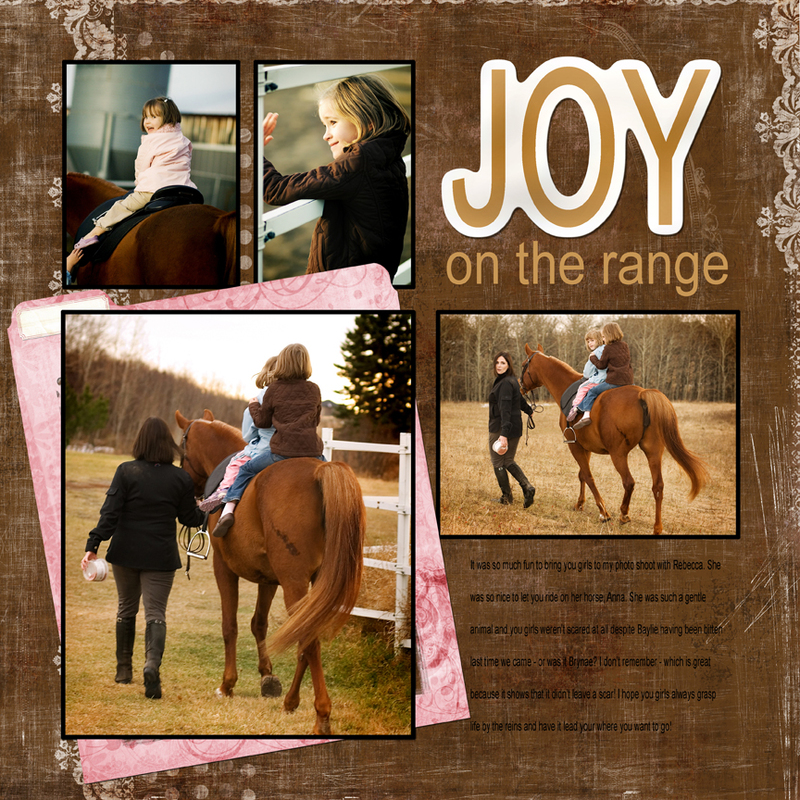 You can do everything from Titles, to Embellishments, to full pages using a photo editing program like Photoshop, Paint Shop Pro, Photoshop Elements, or Digital Image Pro. 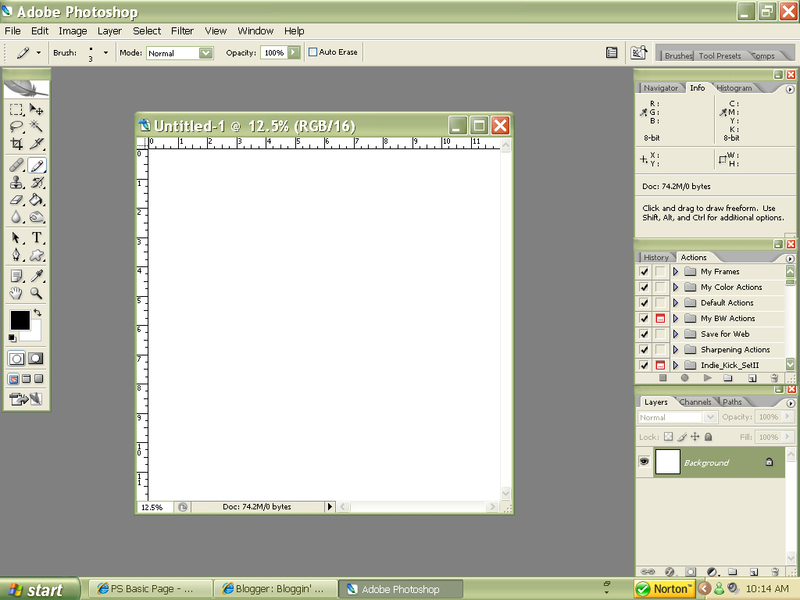 Since I have Photoshop (and it is one of the more widely used programs) my tutorials will be based on using this program. As you become familiar with the program, you will find there are alternatives to every step and develop a style that works for you. But for now – just try these very basic steps to creating your very first page!! The first thing you need to do before you get started is to download some digital kits. There are several sites out there who offer free kits for you to try out, and 2peas is one of them. 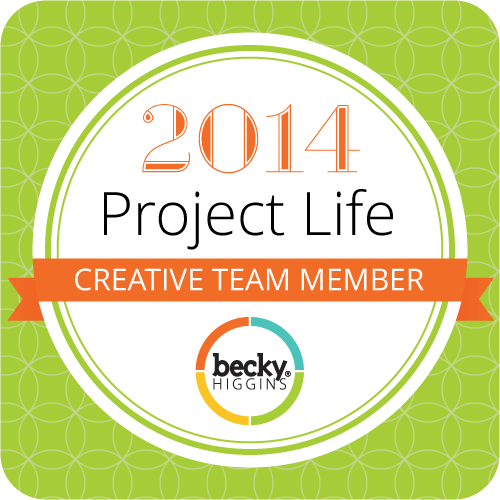 Here is a link to their free kits to get you started: 2peas free kits Have fun! This is like shopping for paper and embellishments at a scrapbooking store! So, when you start a paper scrapbook page, you need to start with a blank page. You can decide what size you want to do (12X12, 8.5X11, 6X12 etc.) So, in the digital world, this is called “creating a New document” and here’s how! 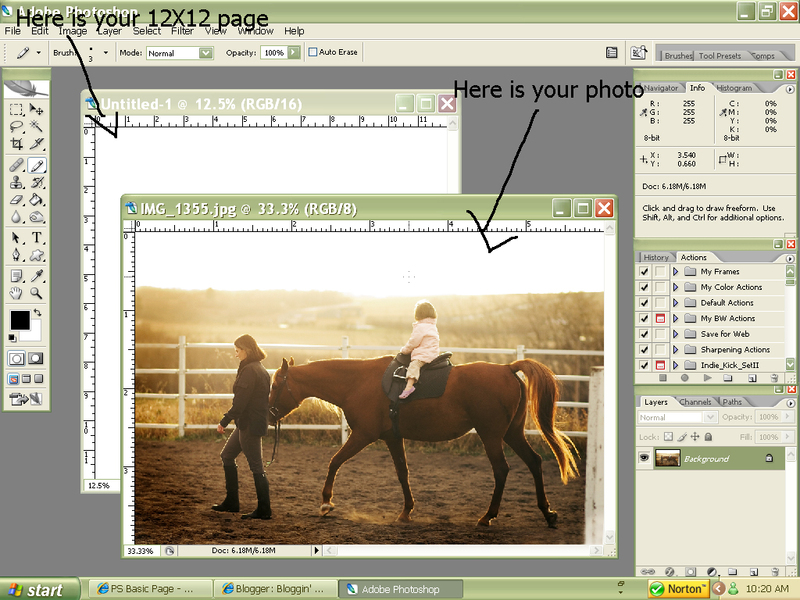 For the image size, choose Inches and make the layout whatever size you want to use. The sample is 12×12, but 8×10 or 8.5×11 are also popular sizes. 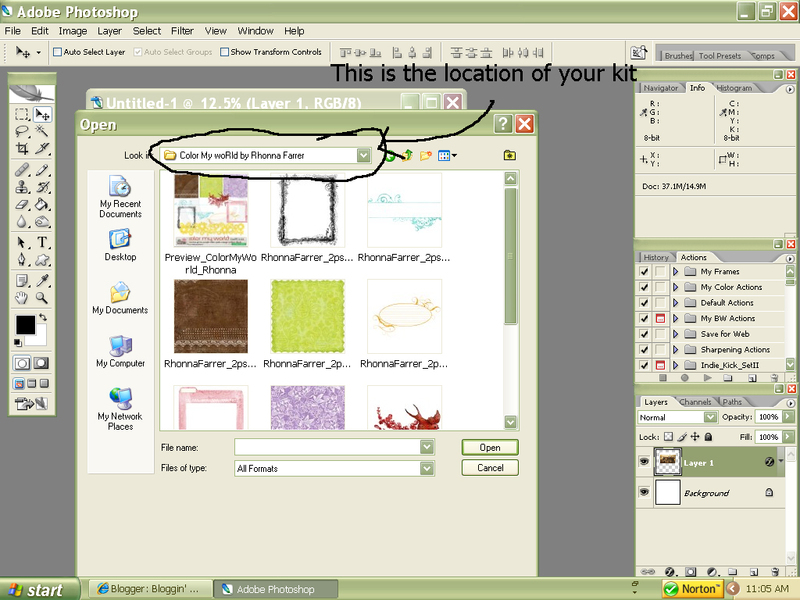 Under Background Contents, choose either a color (I use White when digitall scrapbooking), or check the Transparent box. Click OK.
*A neat trick to do now is to save these settings for use on future scrapbook layouts (so you don’t have to keep entering all these numbers each time. 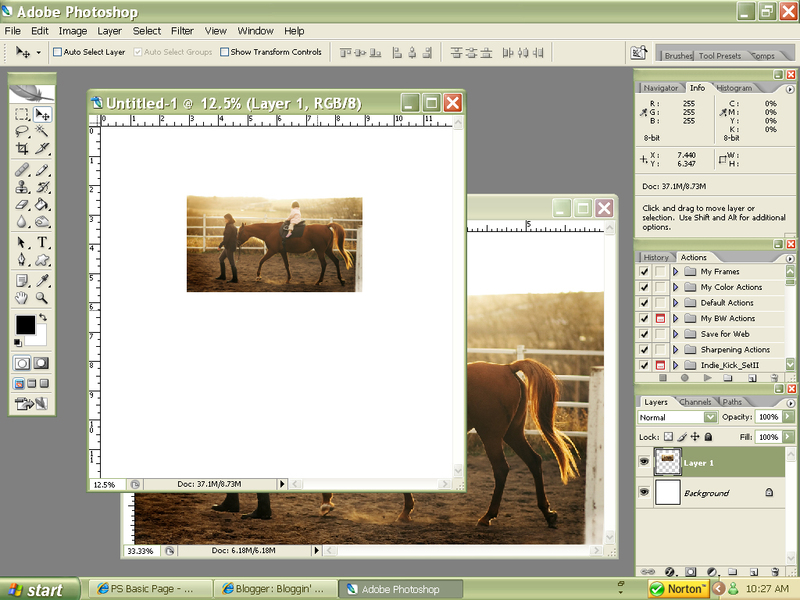 Click “Save Preset” (on the right hand side of the screen) and give it a name (like 12X12 or whatever). Then choose that preset from the Preset: drop down menu next time! Great! Now you’ve got a 12X12 square of “paper” on your screen. You are ready to choose a photo or two (or three – ha!) to scrapbook! You can add as many photos as you’d like at this point. I’m going to stick with just one I think. This is a simple trick to make your digital images look more 3 dimensional. Click on “Layer” at the top of the screen, then click on “Layer Style” then on “Drop Shadow”. This screen will pop up. You can adjust the settings to whatever you like – my settings here were: Opacity 50%, Distance: 10 px, Spread: 10, and size: 5. All these settings do is create a shadow around your photo to make it look as though it’s lifted off the page a bit. You can do this same step with anything you add to the page. Now, click on whatever paper or embellishment you want to use. I clicked on the brown patterned paper to use on my page. It will open up in it’s own winder, just like the photo did. 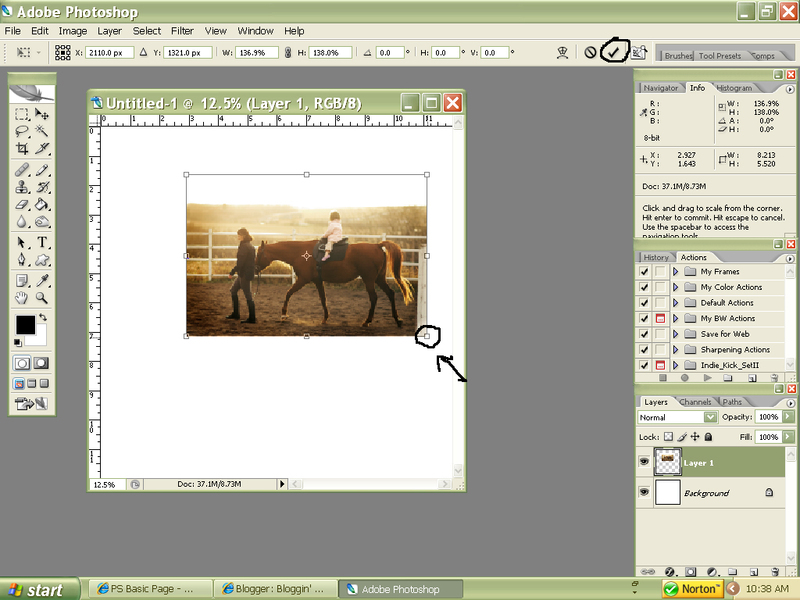 Using the same steps as the photograph, drag and drop the paper onto the white background page. Now, you may see a problem! The brown paper is covering everything else! Look over to the far right of the screen. You’ll see some little tabs that say things like “Layers” “Channels” and “Paths”. Look at the “Layers” section, and you should see three “layers” – one will be a white background layer, one should be your photo, and the top one will be the paper you just added. These layers are just like if you were using real paper. If you slapped a large paper on top of your photo, it would cover it! You have to layer your photo on TOP of the brown paper. There are a couple of ways to do this. 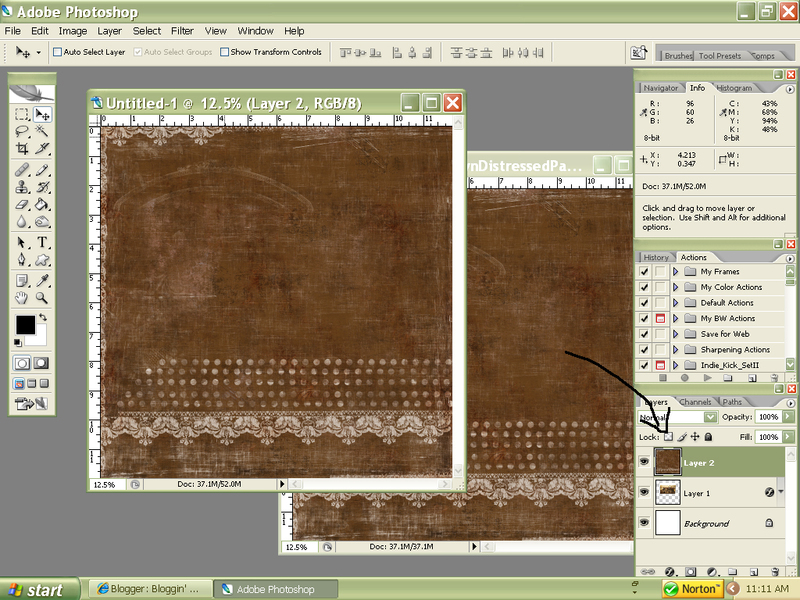 One way is to just click on the small photo of your brown paper layer on the right hand side of the screen, and holding down the mouse, drag it below to photograph layer. The other way is to go to “Layer” (on the top of the screen) then to “Arrange” and you can send the brown paper to the back of the layers, bringing the photo to the front. Oh, and if for some reason, you can’t see that little box with the layers in the bottom right of your screen – go to “Window” then to “Layers” – that should make that “layers” box appear. Once you’ve figured out how this works, you just keep repeating those steps to add more papers and elements. Remember you can resize anything by hitting Ctrl+T and using the “Move” tool to move your elements around the page. This is where you have fun and experiment! Create a title using the Text Tool. Click the T icon in the Toolbox or type T. Use either black or white as a text color: Hit D on the keyboard to reset the colors to black and white. The current Foreground Color in the Toolbox will be the text color. Click the Text Tool cursor on the layout wherever you’d like to start typing. Type the title on the layout, then double click on it to highlight it to make any desired changes to the colors and settings. Only when the text is highlighted can changes be made. 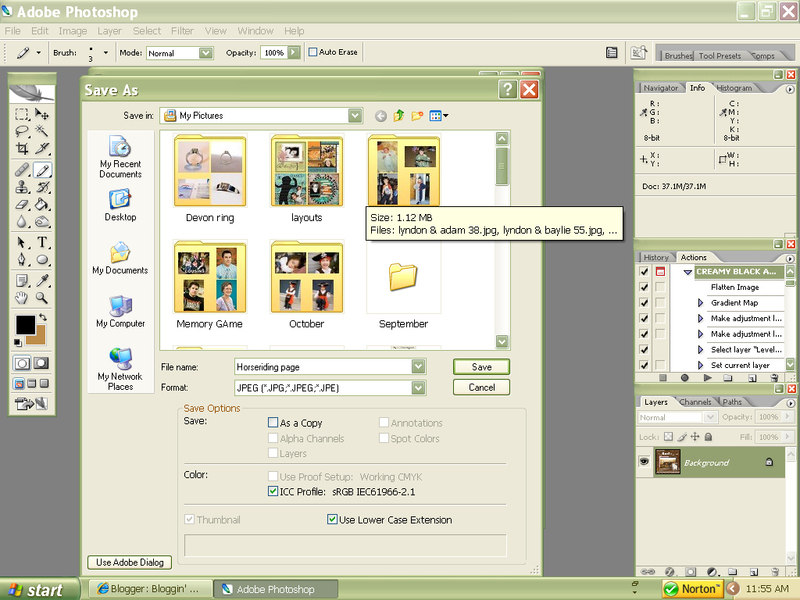 Using the various drop down menus, adjust the font, size, and typeface such as italic or bold. Highlight only certain letters to use various settings in the same text block. 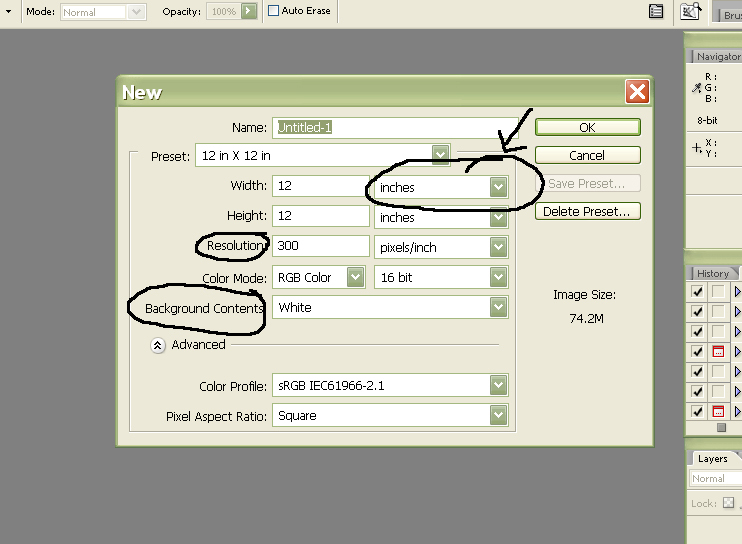 To use a larger size click in the size box and manually type in the size number. okay – so now you’ve got your page the way you like it! I’ve added another photo – a few little embellishements, some journaling (following the same steps as the Title) and I’ve got all the layers in the right order. Now I’m ready to flatten and save. ONLY FLATTEN IF YOU ARE COMPLETELY HAPPY WITH YOUR LAYOUT! 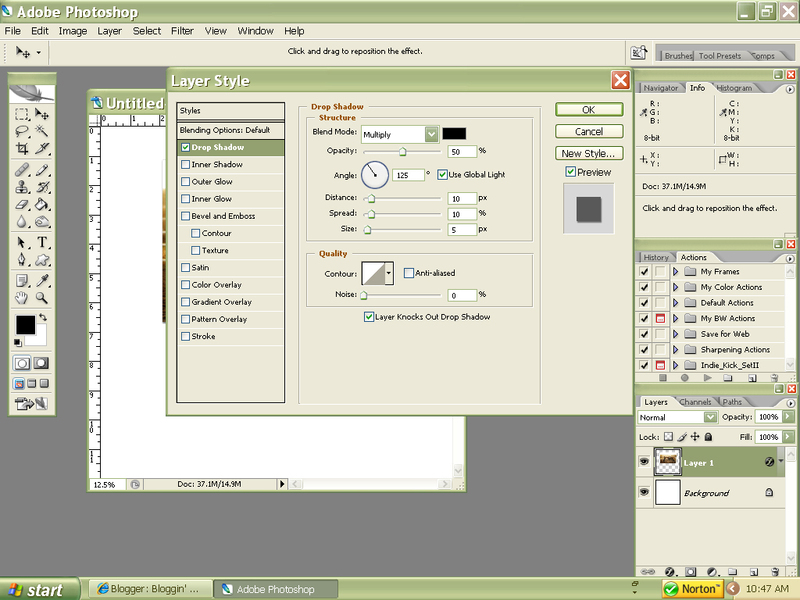 You will not be able to edit the layers or change anything once you flatten! You flatten the image by going to “Layer” and “Flatten Image”. Notice that there is now only ONE layer labeled “Background”. Now you are ready to save!! Create a new folder in which to keep scrapbook layouts. Save in jpeg format to print. If you chose not to flatten because you want to work on it later, save as .png as this format saves all the layers in case the layout needs changes later. Choose a name for your file, then click “OK”. Another screen will pop up. Make sure the quality setting is at “12” then click “OK”. You’re done! You can close your layout and it will be saved in the location you saved it. You can now print it from your printer or upload it to your blog or a site you want to order the print from! Fun! I know it gets complicated, but just go slow and try it! Experiment! you’ll get the hang of it, I guarantee 🙂 If you have questions, email me – or ask here. I’ll explain new fun techniques in the future, but this just explains the basics of a digital page. Here is the finished result: I did a second page to finish the spread. Happy Scrapping! I could spend days looking at all of your wonderful tutorials, beautiful phots and your scrap pages. Thank you for taking the time to share all that you do. It is always such a joy to visit your blog. Thanks for this tutorial. It is helpful. But I am also trying to figure out how people make the actual kits. How do they create those backgrounds and embellishments? Do they scan scrapbook papers into the computer as well as embellishments? I want to eventually make my own and I can't find tutorials on how to do this. i reckon if i had you as my teacher/lecturer when i was at school or uni i would've been a straight A++ student and i would never have wanted to go home cos i'd want to devour all the knowledge you have. thanks so much for your wonderful and detailed tutorials. explaining them in basic terms with lots of encouragement, a side of humour and screenshots/pix is my way of learning. look forward to reading all your other tutorials you have on here already and future ones.